Nursery Children Playing With Musical Instruments In The Classroom. One Little Boy Is Looking At The Camera With A Tambourine. Royalty Free Fotografie A Reklamní Fotografie. Image 60255492. Reklamní fotografie - Nursery children playing with musical instruments in the classroom. One little boy is looking at the camera with a tambourine. 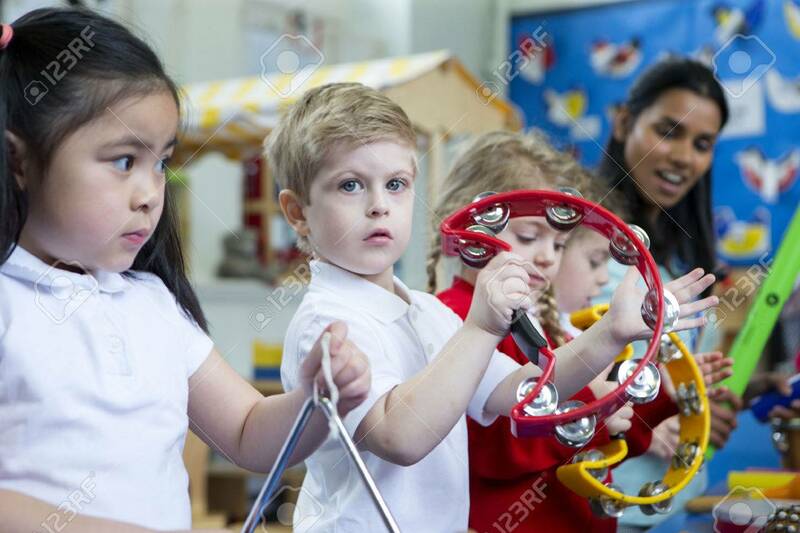 Nursery children playing with musical instruments in the classroom. One little boy is looking at the camera with a tambourine.